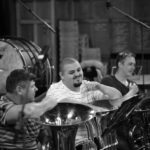 As a trombone player and brass teacher, I am always eager to look up for new brass equipment for myself and my students. However, along the years I have tried different mouthpieces but I noticed that these mouthpieces had a positive impact on some playing aspects at the expense of others. For these reasons, I am very sceptical and seldom make changes myself. When I was introduced to the K&G 6B trombone mouthpiece (new model) I was immediately struck by its remarkable and almost instant results. The sound is powerful and direct without experiencing the ‘closing’ effect which is evident on some other mouthpiece brands, however, it can also be lyrical and mellow when needed. Moreover, the sound stays focused in all registers which helps enormously the intonation. With this mouthpiece high notes can be played with ease and I can play for longer periods with less fatigue. Another asset of this mouthpiece is the rim design which helps you to perform with better flexibility and very clean articulation. Moreover, there is no need to change your embouchure to produce notes in different registers. With the K&G mouthpiece I noticed that the immediate benefits I noticed when I first used it actually increased over a period of time. This contrasts with other mouthpiece brands as they tend to decrease their benefits within 1 or 2 weeks from purchase. Finally, I can confidently say that the K&G 6B trombone mouthpiece is the best friend for a brass player! After playing the same brand of mouthpiece for a long time I was reluctant to try anything else however after playing the K&G 4D mouthpiece I felt an instant improvement in low register punch, loud dynamics and all round comfort. After a few weeks I started to really enjoy using the mouthpiece. I felt my sound was more centered, fuller and stronger and I haven't looked back. My first performance using it was a solo recital in India and it was brilliant, I feel very lucky to have been given the opportunity to play it. The K&G mouthpiece is an excellent choice. From the first time I felt very comfortable and pleased with the sound emitted. It feels very flexible throughout the euphonium from the high to the low range, good articulation, gives a good response, projection and the sound is very focused. The rim is very comfortable. Very good! Great for playing solo, large or small groups. I recommend these excellent mouthpieces to everyone. "Simply the best mouthpieces I have ever played! Extremely comfortable ring, great sound and articulation in all registers! I could not ask for more in a mouthpiece. The K&G Mouthpieces adapt perfectly to my playing style and I can achieve a very focused, wide and rich sound with them. It has a wide dynamic range getting some very subtle pianos and fortes powerful. It is also remarkable its ease to get a perfect emission. Its excellent seat makes it very comfortable to play any repertoire however demanding, making my job much easier. The K&G mouthoieces are something I've been looking for all my life, as a trombonist tubista and trumpeter always looked for the greatest comfort in my nozzles without sacrificing sound and quality, it was until my friend Dennis introduced me to his fantastic work that I learned that What I look for all life in the world already existed, the fantastic K&G mouthpieces. 'The K&G T6B mouthpiece is an excellent choice of mouthpiece for orchestral, solo and chamber music. After several months of using it in the operatic and ballet repertoire in the Croatian National Theatre in Zagreb, and also on recitals with our Busina Brass Quintet, I have come to the conclusion that the mouthpiece is engineered with such delicacy and perfection that the sound that it produces is warm and round in all registers. It is very difficult to miss a note even in the most extreme piano dynamics. It feels very flexible throughout the trombone high and low range, gives a direct response and the sound is very centered and focused. The rim is very comfortable and enables for extended time of playing, which is specially helpful in the long opera and ballet performances. I highly recommend these excellent mouthpieces by Kurun & Gilbert and thank them for producing such a versatile mouthpiece for trombone. 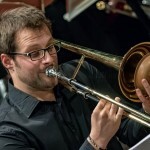 Ivan Bošnjak Principal trombone Croatian National Theatre in Zagreb, Principal trombone No Borders Orchestra Busina Brass Quintet'.
" K&G mouthpieces are exactly what I was looking for. Working as a freelancer musician, I need to be able to play and blend in different music environments, so now I can play every music style with them, they are so versatile. I can color the sound as like I want, the rim is so comfortable and the craftsmanship is superb. They project a lot, and articulation is so clear and easy. I suggest K&G Mouthpieces to everyone"
"I was looking for the most beautiful and mellow sound possible. The K&G mouthpiece makes that possible without becoming fuzzy and airy. It keeps core as well. Its very easy to play virtuoso passages and flexibillity is second to none without the loss of comfort. For me its the best mouthpiece I have ever played and I tried practically everything on the market. Highly recommend it. It will jump start your improvement as a Cornetist". "From the start I really enjoyed playing the mouthpiece. Good projection of the sound, real smooth playing because of the soft rim and in articulation everything felt amazingly natural. I tried several mouthpieces but I was really flabbergasted about the quality of K&G. I played several solo concerts and even last week with symphony orchestra, and it fitted every need! 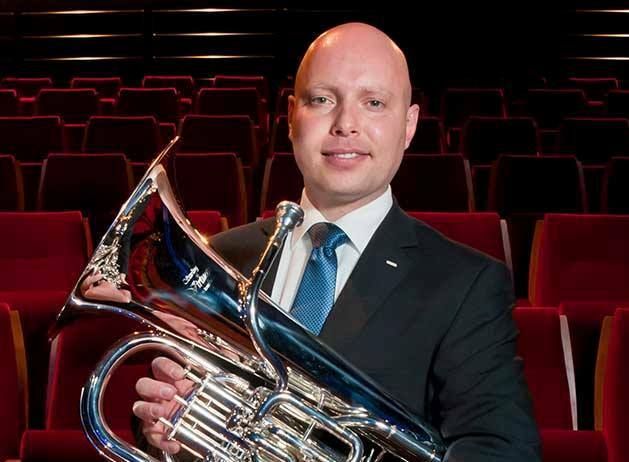 Really happy about this choice"
"As a Euphonium player, I am so proud of this remarkable mouthpiece. It gives me that beautiful euphonium sound as well as improved projection and articulation. Throughout these two years I’m using this mouthpiece I feel much more comfort and stamina as well much control in all dynamics. I would recommend it to everyone. Well done guys." 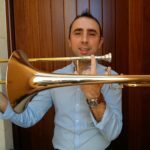 Graduated with honours in trombone in 1998 at Vincenzo Bellini Musical Institute of Catania under the guide of M° Camillo Pavone. He continued his studies at the Advanced Conservatory of Paris(2002) and then at Saint Cecilia Academy in Rome(2003) under the guide of M°J.Mauger. 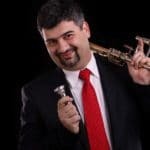 He has won several national and international competitions, such as the 2nd International Competition of Music for Young Interpreters "City of Chieri", where he played accompanied by the Turin Royal Theatre Orchestra. 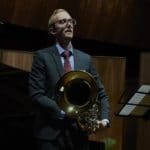 He has won the 18th International Trombone Competition “City of Porcia”(2007) and the 5th International Trombone Competition of Jeju 2008(South Korea). He has won several auditions for trombone. 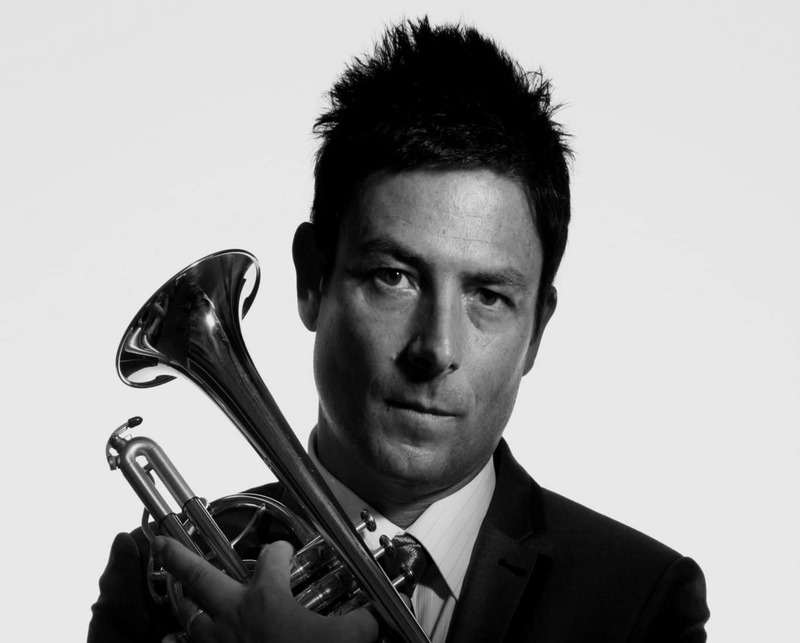 He has performed in Italy and in foreign countries as trombone soloist and as part of various formation. 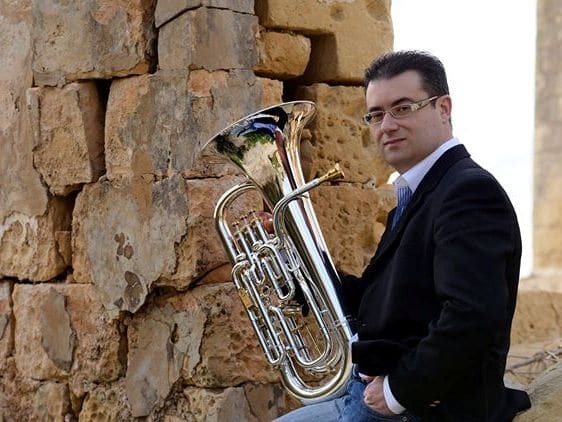 He is part of the Sicilian Brass Quintet, with whom he has recorded two discs and the Sciara Quartet, formation that has won several national competitions. 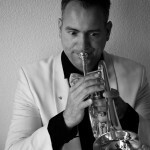 He has recorded a concert as trombone soloist in the disc “A bridge to Brasil”. 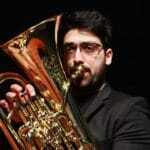 Since 2003 he has covered the role of first trombone in the Orchestra of the Theatre Maximum “V.Bellini” of Catania. To the intense concert activity he places side by side the didactic activity: he is in fact teacher of the course of specialization for trombone at the “V.Bellini” Institute of Caltanissetta,and held numerous master classes in Italy, Switzerland, France, Mexico, Hungary, Korea, Spain, Colombia, etc .. He collaborate as principal Trombone with “Teatro alla Scala” of Milan and Accademia Nazionale di Santa Cecilia Orchestra in Rome . I'm really surprised by the quality and it plays really comfortably! The soft rim is great, and the sound is much more warm then my previous mouthpiece. Projection is better and endurance gets better! I'm very proud of you guys.They not only look fascinating but the result of playing is superb. I've been trusted testing with you all these months and finally here is the final product. You made my life much easier regarding playing, finding solution for all the difficulties I had, especially when shifting from euphonium to trombone, keeping the best results on both instruments when all genres of music are played. This is a product that I'm sure will be making thousands of players around the globe as happy as I am. Wish you luck and success.